Tablets are the best way to read, and Newsstand is the equivalent of RSS for non-geeks. Hopefully apps like The Magazine inspire somebody to make this happen. Then, at Rumproarious, Alex Kessinger takes a different, but not contrary view that what tablets need is what amounts to a compatible version of Google Reader. There is a huge difference between a link posted on the web and when it hits the feed; the feed drives way more traffic. It illustrates the effect of aggregators, especially when considering early blogs. I really had to think about this. There is something not quite complete about these arguments. It’s interesting that we may (or may not) look back on this point in history and think of it as: “That time when Google really joined the tablet market“. Well, perhaps not as seriously, but we’ll definitely paint a picture of Google telling everyone that they’ve jumped head-first into the tablet market. What Google announced on this storm-swept, Sandy-barraged East Coast was a number of new devices and update to the Android operating system. Google had planned an event to announce all of this on Monday October 29th, but had to cancel because of the coming hurricane Sandy. 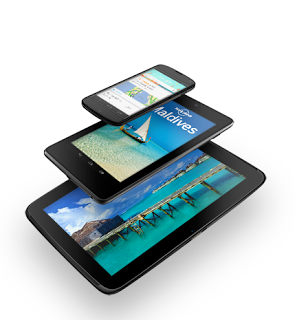 While still young, Google’s Nexus 7 tablet can be rooted. One of the more amazing things about Android is the sheer number of devices that are easily rooted an handled. In this article, I’m going to show you what it takes to Root the Google Nexus 7 tablet (and some of the things you can do with that). First, some words of WARNING: Doing this will delete all the data on your device and can brick your shiny new Nexus 7. So, be careful and understand the consequences. Oh, how you have fallen. 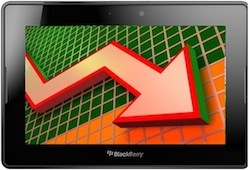 You were the tablet that was going to challenge the 90%+ market share of the iPad. You were going to link from an existing Blackberry to create a secure, bigger kind of Blackberry. You were going to be the promise of accessing a bazillion applications from two different App Stores all running on your sleek, thin easy-to-multitask package. You the promise of so much, Playbook, what happened to you? 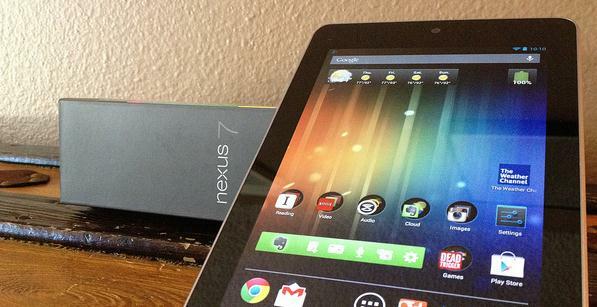 Nexus 7 Review: One Tablet To Rule Them All? As consumption devices go, Android tablets haven’t really held a candle to the iPad. There’s a storm of positive reviews out there that say that the Nexus 7 is a tablet that can rival Apple and Amazon’s offerings, and finally I’ve been able to use it and let you know. On a personal note, I was looking forward to seeing a good Android tablet experience after trying some really crappy ones (yea, I’m talking to you Colby). In a word: Impressive. But, more than one word is applicable for this great little 7 inch tablet, so I’m going to try to add my particular thoughts to the mix about this tablet. Apple’s tablet has seen better days with the technology press. This new tablet doesn’t feature any show-stopping new toys (as did previous incarnations). But, this is Apple, so you often have to see it to believe it. 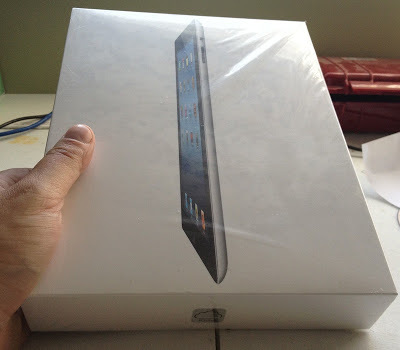 Join me as I get my hands on a new iPad determine if it’s worth the $519+ (in Canada) for a new one. You should also know, for some inexplicable reason, it took me more than a week to open the box. Perhaps I just wanted to collect my thoughts before trying this new device. Sometimes I’ll go against the mad rush in an attempt to let things sink in. Finally, with the box open, I give you my thoughts on the new iPad. No doubt, you’ve seen other reviews of this device – and most of them have been positive. I’ll try to give you my impressions as an IT Guy and as a person who has used every single iPad model that came out. Think The Mobile Platform Battle Is A Fight For The Device You Buy? Think Again. The mobile space has rapidly expanded (160% over the last year) – with the incredible success of one iPad. This success has also underscored the boom in smart phones entering he market as well as devices that might fit somewhere in-between (a convertible tablet laptop, anyone?). Many think that companies are fighting to get these mobile devices into our hands – while thats true to a certain extent, the real fight for our mobile future will be who controls the platform. I’ve wanted this one from the first time I saw it. The new tablet from Samsung called Galaxy Tab. While the device is certainly not stacking up favorably against the iPad in various reviews, I still see allot of great utility in this – and possibly the device that makes me ditch my phone – and converge book reading, phone (*) and email among other things. 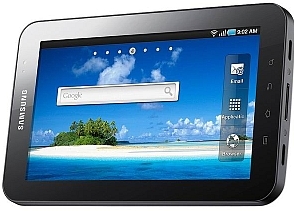 The Galaxy Tab is the first real major Android tablet. If, however, you are a WIND Mobile user – there are a number of things you need to watch out for right now if you want one of these. By now, you probably have heard of Apple’s new tablet device named iPad. Coverage of this device can be found all over the Internet. Apple’s iPad is the new tablet/slate computer that will provide a new touch-based experience that will play movies, music be a book reader and run most of the applications written for the iPhone. The device looks great – but – beware – this thing is a dud. Here’s why.